Many believe there is a growing mental health crisis for teens across America. Now a new study suggests teen depression may be even more serious than we think. Researchers from the San Diego State University found that rates of depressive episodes and serious psychological distress have dramatically risen among teenage groups in recent years. Meanwhile, the study suggests that similar issues in older age groups either barely shifted or even declined. How often did someone think about suicide? Did people form plans to carry it out? Did they actually attempt suicide? This pattern stays consistent as well when analyzing episodes of major depression and suicide-related outcomes. Teens and young adults in 2017 had higher rates of depression than the same age groups a decade before. Conversely, depression rates for most age groups over 30 were actually lower in 2017 than in 2009, with seniors being the exception. It is important to note that younger people do typically experience depression and other mood problems more than older age groups. This is not actually all that uncommon. However, what stands out about these findings is that younger people today appear to be dealing with more depression and distress than previous generations. Some would argue that there are cultural factors that affect everyone to an extent, the data is showing us that the youngest may be suffering the most. 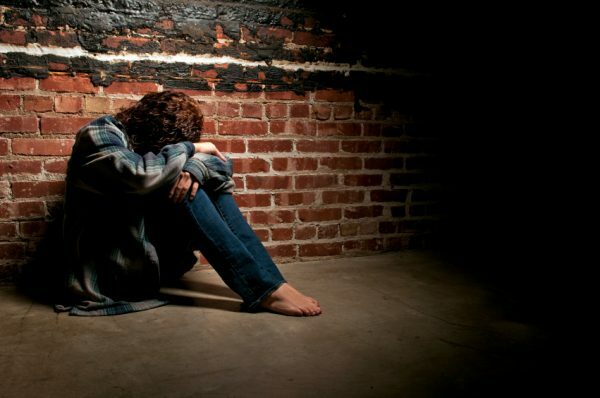 What is Causing Teen Depression? When considering what could be causing these escalating depression rates, Twenge and her co-authors point to a familiar suspect: smartphones and social media. Twenge and her team argue that the rising rates of teen depression began in 2012. Around the same time, smartphones were becoming the universal accessory we all know them to be today. One argument is that these devices could be making it even harder for teens and young people to sleep. As a result, the lack of sleep is a common contributor to poorer mental health. Furthermore, people often assert that smartphones and devices limit the amount of face-to-face social interaction people experience. Again, these same elements are probably also affecting millennials and older generations. However, the research team believes they’d be more influential for younger individuals. This makes a lot of sense, considering young minds are still developing. Technology can impede emotional growth and the ability to cope with social pressures and other personal issues. Even if the exact causes remain a mystery, it is well documented that depressed and suicidal teens are more likely to suffer as adults. Therefore, this large escalation of young adult and teen depression could cause even more issues years or even decades into the future. Not to mention, if there is no end to this escalation then mental health could continue to get even worse for future generations. Twenge does not place all blame for mental health issues on technology, but she adds that more should be done to understand how these devices could be harming young people. Meanwhile, other experts are concerned that growing issues with mental health are also contributing to a growing issue with substance abuse disorder across America. It is probably not a coincidence that at the time depression and distress among teens and young adults increased the country was also experiencing a dramatic rise in substance abuse and overdose deaths. Both addiction and mental health disorders are complex and deeply personal conditions that deserve comprehensive treatment options. Of course, there should be more research and work going into prevention methods. Additionally, there needs to be more effort toward getting people the help they need. If young adults and teens are struggling with depression and psychological distress more now than ever, it is safe to assume we will continue to see the rising rates of drug abuse. One of the most vital resources is dual diagnosis treatment opportunities for those suffering from co-occurring disorders.